While the fall monarch butterfly migration seems to be more concentrated through my location than the spring one, it is time for us to be on the lookout in North Texas for the butterflies are on the move. Sightings of monarchs laying eggs on milkweed in Austin have already been reported. Report your sightings too. flowering shrubs, annuals and perennials found more commonly in the nursery trade. 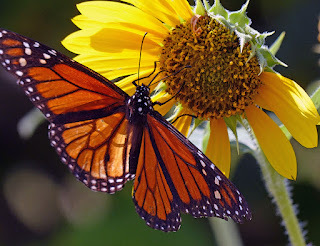 I have also seen well traveled monarchs on several flowers not included in any of these lists such as sunflowers and hyacinth vine bean flowers as seen in this post. 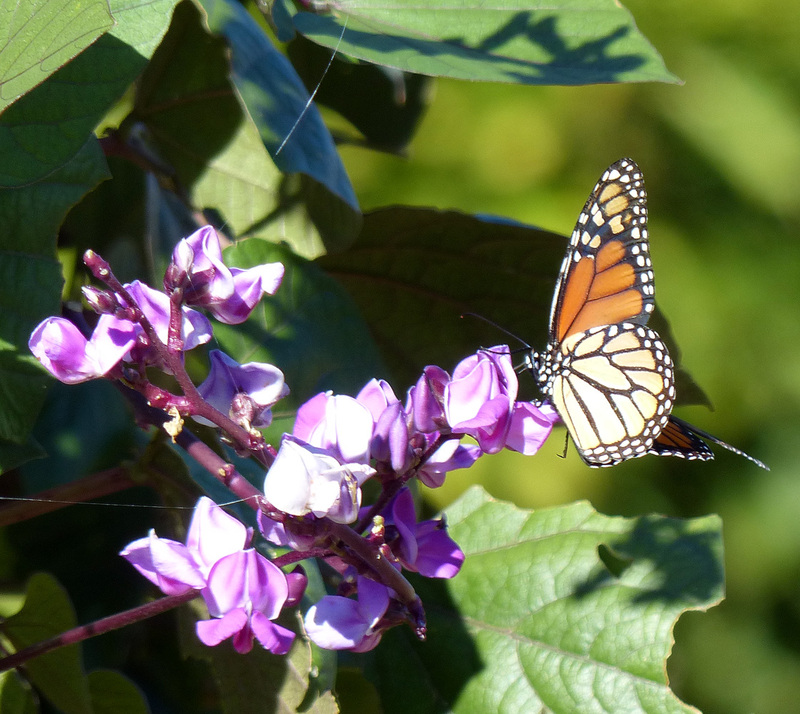 I suggest trying to fit in some of the plants in the lists but if you can't, put out colorful nectar producing flowering plants and hope to see a fluttering patch of orange land on your flowers to refuel on its journey.